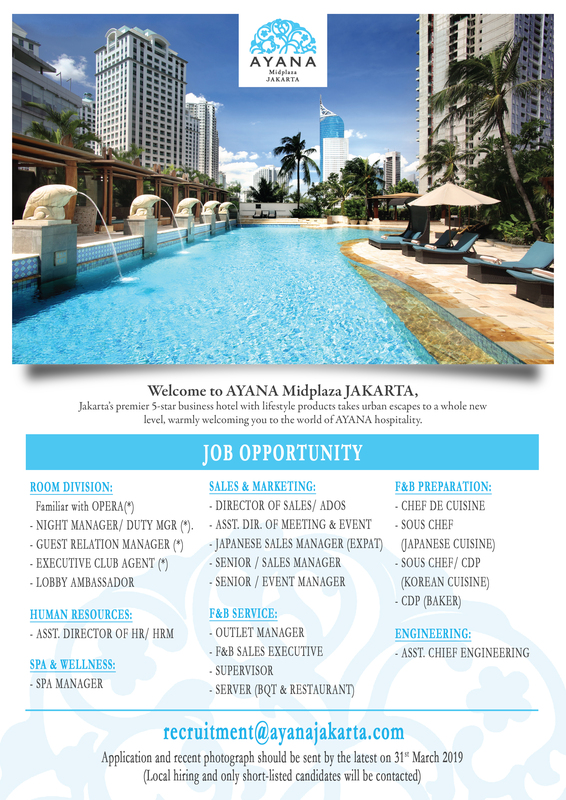 AYANA Midplaza JAKARTA presents a new level of city-center hospitality, specializing in personalized services and amenities to complement your urban lifestyle hotel experience. AYANA is your second home in the heart of Jakarta, where the city’s premier recreational facilities are at your fingertips. Ease the strain of a busy day and invigorate your body with a selection of aromatic body massages, body scrub, stress relieving reflexology and relaxing beauty treatments. Arriving into Jakarta, or departing from Soekarno Hatta International Airport is no longer a headache with AYANA’s professional airport transfer team. Enjoy peace of mind knowing that AYANA MidPlaza Jakarta is located just 45 minutes from the airport. Reliable WiFi that responds to all of your corporate and social needs is indispensible. AYANA understands the value of your time and productivity and provides complimentary WiFi to all guests throughout the property.